It's amazing what a few extra inches on a zipper can do to make these the most user-friendly solo (smaller) stuff bags you've ever tried. 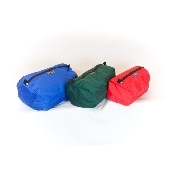 These bags are so versatile you'll want to try them for sorting other necessities besides food, like clothes, rain gear, etc. You may find you will want several on every trip.